Had I not missed my flight, I would've landed in Yangon at 10am. Instead I arrived at 6pm after an extortionate indirect flight with a 4-hr layover. Just happy to have made it. It was past 10pm when we headed out for dinner. 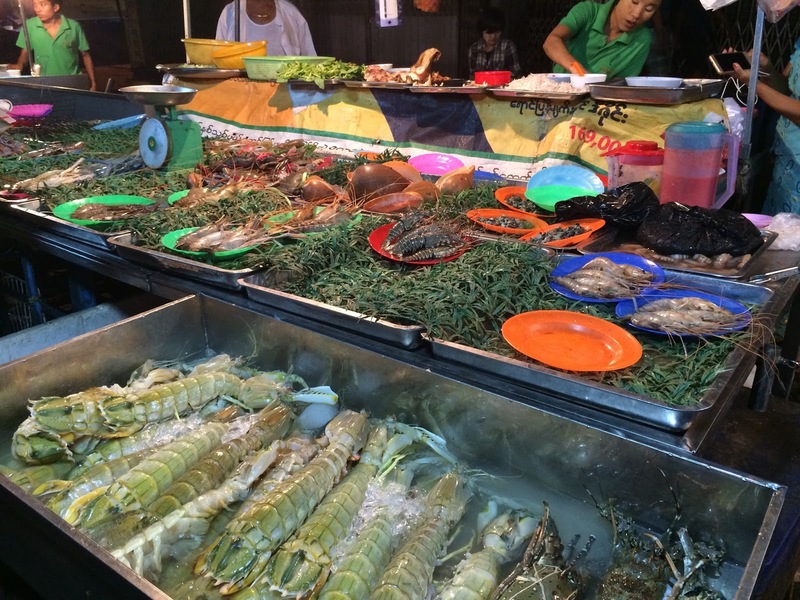 Our hotel staff pointed us to the Night Market on Mahabandoola Road where it was dotted with food carts.The seafood stalls were popular with the locals, I got excited by the massive mantis prawns that were the size of lobsters and the huge plump tiger prawns. He did well to navigate the ordering system with his Burmese phrase book… I guess the owners appreciated the effort. We had a foot-long mantis prawn, 3 tiger prawns, some scallop / clams, watercress and fried rice with chicken. I forgot how Mama Chan strips the flesh from the prickly shells of the mantis prawn, it was still very meaty though I have had more succulent and springy ones in HK. The food was overcooked and chewy, but it also means it’s least likely to kill us. I didn’t plan much time in Yangon. 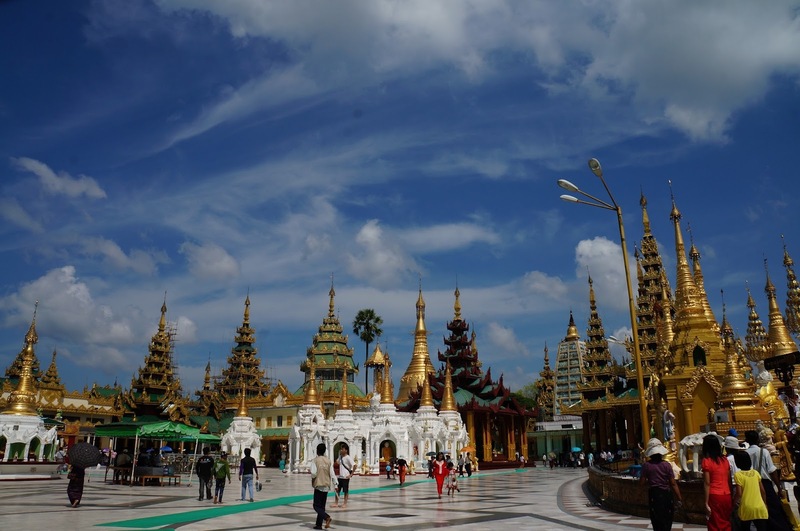 The following day we had to pack in Shwedagon Pagoda, Bogyoke Market, a walking tour that starts at 4pm and catch our overnight bus to Bagan... 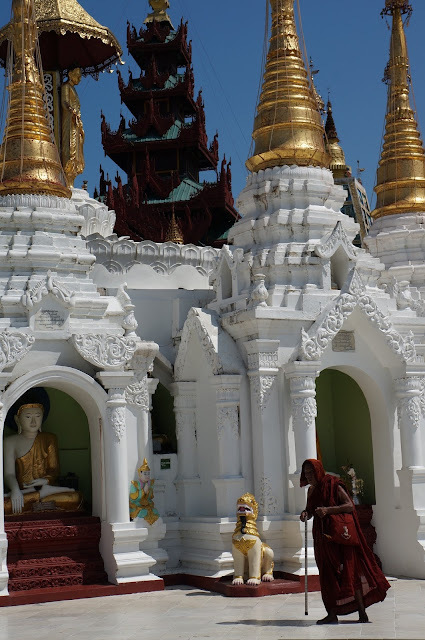 So we had to brave the mid-day heat at Shwedagon Pagoda. The shiny gold structures were beautiful with intricate details, but it was still a freaking hot day. There are shrines representing each day of the week spread around the eight corners of the stupa, and people pay tributes to their birth-day shrine by pouring water and offering flowers. After working out which day of the week we were born, we decided to backtrack, under the scorching sun, on the sole-grilling marble pavement, in our sweat-drenched t-shirts, to Tuesday and Monday shrines. It all made sense… until I looked at the photos and realised he didn’t even capture the plank that says “Tuesday Corner”. The Bogyoke Market was like most tourist markets, a labyrinth of stalls selling longyi, souvenirs, jewellery, jade and gold. I gave up on my longyi purchase - long skirts and my height don’t mix; this fact doesn’t change just because I’m in a different country. 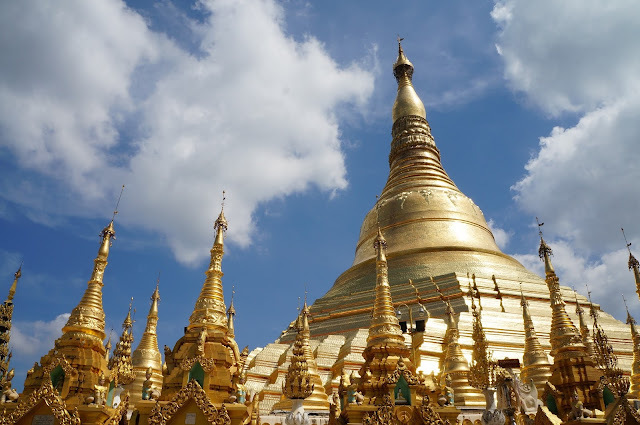 He, on the other hand, got so carried away with practising his Burmese that he ended up buying one. For lunch we made our way back to downtown at 999 Shan Noodle Shop, probably the most touristy noodle joint in town. 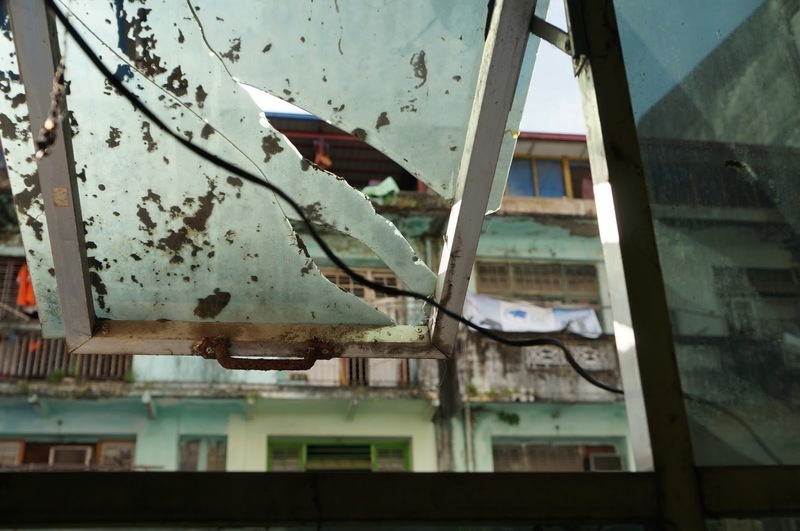 Well, it was on every "best places to eat in Yangon" list. We had the sticky Shan noodles and something else I don’t remember. My sticky noodles were quite interesting, the texture was smooth but gooey and held onto the savoury broth well. A bit heavy with the MSG though. We wandered around before the walking tour and ended up at The Strand Hotel, which was worlds apart from the smaller alleys round the corner. It was my first walking tour so I didn’t know what to expect. The lady was gathering the crowd at the carpark opposite City Hall, near Sule Paya. She was brimming with information and enthusiasm, eager to share history of Burma at 120mph. I only managed to pick up bits around people throwing everything out or locking things up before the Japanese came in, Burmese literacy rate and cost of SIM cards over the last 9 months. 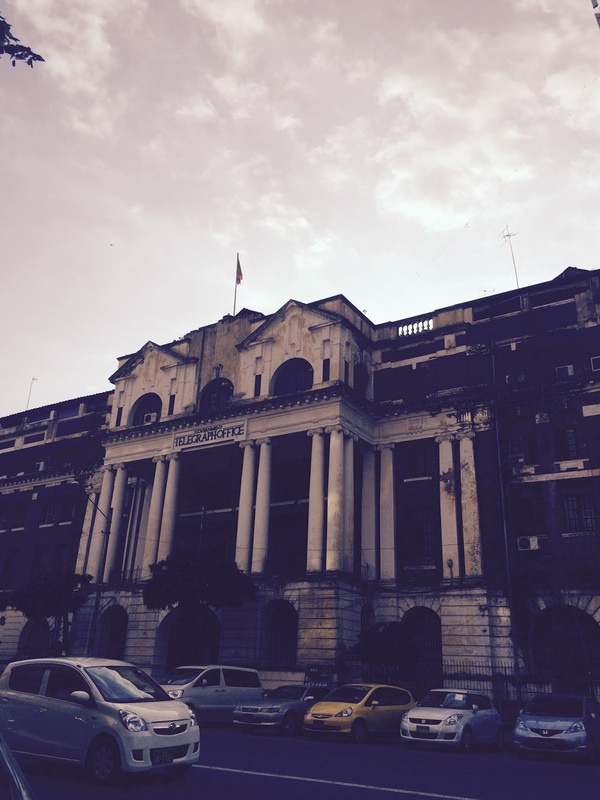 I was busy cooking up some tragic romantic story in my head as we weaved between the colonial buildings. We had to bid our guide goodbye before the end of the tour. The bus stop for Bagan is at Aung Mingalar, just next to the airport. There were unexplained traffic jams around the city. The taxi ride from the airport was 45mins, but somehow the journey to the bus station took over 1hr30mins. The station was a maze of coaches and buses, thankfully our taxi driver checked our tickets and made sure he found us the right bus. Good thing we booked in advance too. A trio of Spanish just rocked up to the bus stop but all the seats were gone. I think there are two companies that offer VIP buses at 18,500 kyat each, comfy seats, snacks, coke and water, plus a toilet too. The aircon wasn’t as cold as described by other travellers, but Mr Spiderman next to me did make sure I was wrapped up:) About 3 hours in, we stopped at Pioneer Food Centre for half an hour, where our driver announced it was our dinner stop… at 11pm. Sure.